CURRENTLY UNDER CONTRACT, SELLER ACCEPTING BACKUP OFFERS. Pretty view of the pond and gulf from this 2BR/2BA Sugar Beach condo. Updates include new wood flooring, refinished kitchen cabinets and new countertops, fresh paint, new vanities in both baths, and new AC and hot water heater. 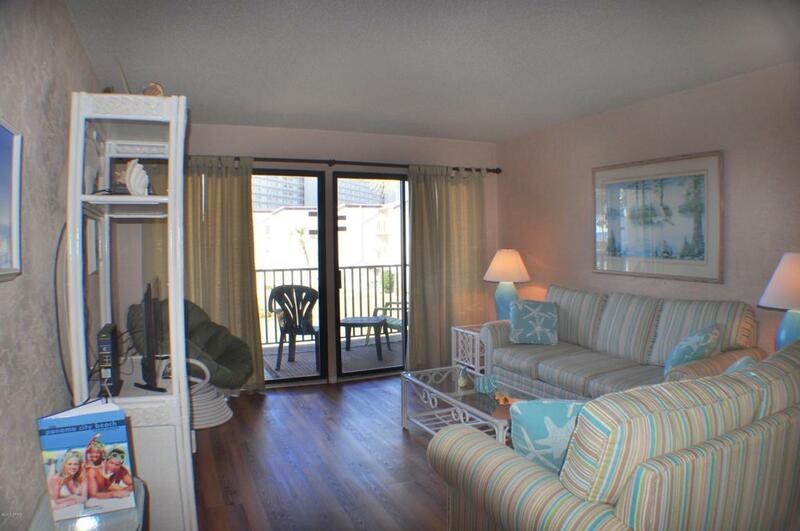 The unit overlooks the Sugar Beach turtle pond and you can see the Gulf of Mexico from the balcony. Immaculate and well taken care of, this would be a great investment property or second home. Sugar Beach is a very popular gulf front complex convenient to so many restaurants, golf courses, shopping and more. Amenities include a large pool, clubhouse, barbecue grilling area, tennis courts and a dedicated beach. All info is approx. and must be verified by Buyers if import.